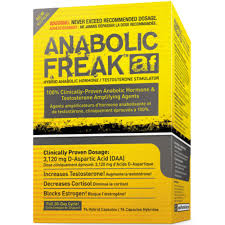 New RIPPED FREAK is the world's first and only Hybrid-Drug fat burner! 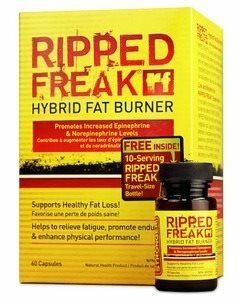 RIPPED FREAK's Hybrid-Drug formula addresses every major fat-loss mechanism known to scientists and researchers around the world and contains never-before-seen, newly synthesized fat-burning ingredients, best described as "Hybrid-Drug Lipolytic Compounds". "Hybrid-Drug" is a term that's been coined by our team of pharmaceutical and organic chemists. A Hybrid-Drug is defined as a compound derived from nature that has been organically altered or synthesized to deliver more powerful drug-like effects! The RIPPED FREAK formula specifically combines key fat-burning ingredients with the methyl gallate ester, which is used in the pharmaceutical industry to provide superior bioavailability and an extended half-life in the body! It is the ability of our chemists to alter and synthesize these new Hybrid-Drug compounds that make RIPPED FREAK the strongest fat-burning formula legally available in North America! Methyl Gallate Esters - The Latest Innovation in Fat-Loss Supplementation! PharmaFreak Technologies Inc. is the first company to introduce "hybrid-drug lipolytic compounds" to the market with the launch of RIPPED FREAKï¿½. 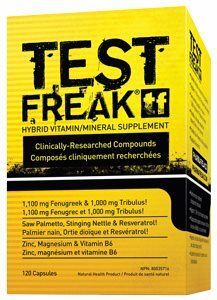 The PharmaFreak R&D team is the first to discover the benefits of using the methyl gallate ester and have combined it with key fat-burning compounds found only in the RIPPED FREAK formula! 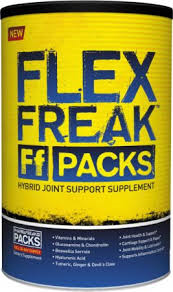 On top of that, the RIPPED FREAK formula also contains five newly discovered methylated derivatives of (-)-epigallocatechin-3-O-gallate (EGCG) from green tea extract. 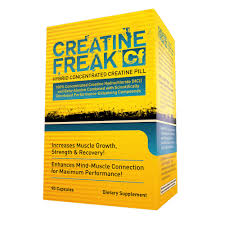 As already explained, the methyl groups increase the lipophilicity and absorption into target cells, making the five EGCG derivatives found in RIPPED FREAK superior to the regular form of EGCG found in all other fat burners! Mix 1/2 a scoop with 200-250 mL of cold water and consumer 30-45 minutes before training. Due to its extreme strength, it is highly recommended that you assess your individual tolerance and start out by using only 1/2 a scoop er day. 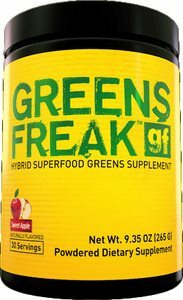 SUPER FREAK is so strong that many individuals find that 1/2 a scoop is more than strong enough to deliver maximum results. Non-Medicinal Ingredients: Citric Acid, Malic Acid, Acesulfame Potassium, Sucralose, Natural & Artificial Flavours, Maltodextrin, Blue #1.